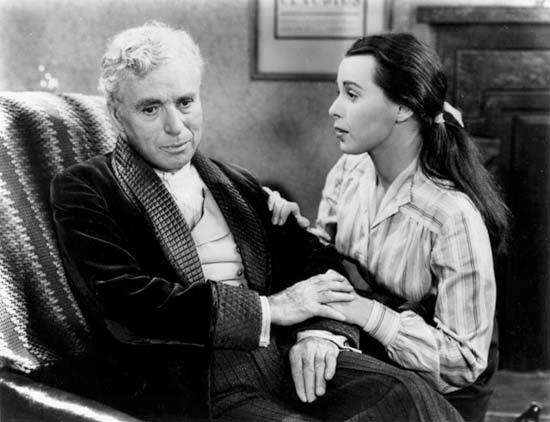 If you love the tone of a Charlie Chaplin film, you’ll appreciate “Limelight.” Chaplin’s films are as sentimental as they come, always about finding hope, love and joy in the most unlikely of places and this is the first two-thirds of “Limelight,” as Chaplin plays an aging stage comedian, Calvero, and saves a young dancer (Claire Bloom) who attempted suicide and helps give her a new purpose in life. Calvero is unable to find work in London, due to his reputation, and has to hide behind pseudonyms and booze. I found the memorable parts to be Chaplin’s inspirational speeches to Bloom, about how man is the most fascinating creature in the universe and we shouldn’t throw that majesty away. For a man who spent most of his film career in the silent era, refusing to adopt sound pictures even years after they were created, Chaplin is one of the most simple yet eloquent individuals I’ve seen in movies. Of course, after Calvero experiences his own setbacks, the dancer turns it around and brings him back from the brink. But the problem with “Limelight” come from the lack of comedy throughout this two-hour film. For being a Charlie Chaplin film, this is lacking in physical comedy, which mostly doesn’t come until the end. There is so much focus on the heartfelt moments that the comedy is scarce. Sometimes Chaplin gets a funny line, but his delivery isn’t as good as it use to be. 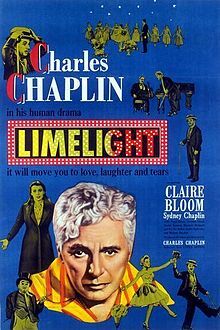 Overall, the sentimental side is a bit too much in “Limelight” without a good amount of Chaplin comedy to balance it out. As a tribute to Chaplin’s stage days in London, the joy of being at the theater shines through and the story of two people learning to love again through the stage is heartwarming. But this one goes on a bit too long at points and ends up repeating a few scenes.